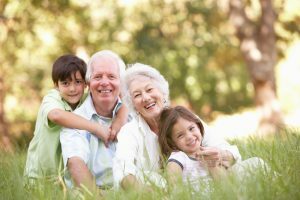 Securing the perfect child care arrangement for working parents has always been a priority, and in many cases, grandparents play an important role by giving up work to look after their grandchildren – many families rely on this support. However, although there is a state pension provision aimed at plugging any gaps in a grandparent’s pension record, a recent report in the Financial Times shows that thousands of people are failing to claim this entitlement. Grandparents, or other family members, who care for a child under 12 after giving up work before retirement age, are still entitled to build up state pension rights, but in 2016, less than 1,300 people were taking advantage of the scheme. Royal London, the insurer which submitted the FOI request, calculated that there could “easily” be more than 100,000 grandparents of working age who could benefit from the Specified Adult Childcare Credit if the scheme was more widely known about. Details regarding Specified Adult Childcare credits can be found here https://www.gov.uk/government/publications/national-insurance-credits-for-adults-who-care-for-a-child-under-12-fact-sheet. If you would like to find out more information about the potential implications on your personal finances, or make an appointment to work out the right pension strategy for 2017 and beyond, please call us 0800 731 7614 or e-mail enquiries@fpgonline.co.uk.